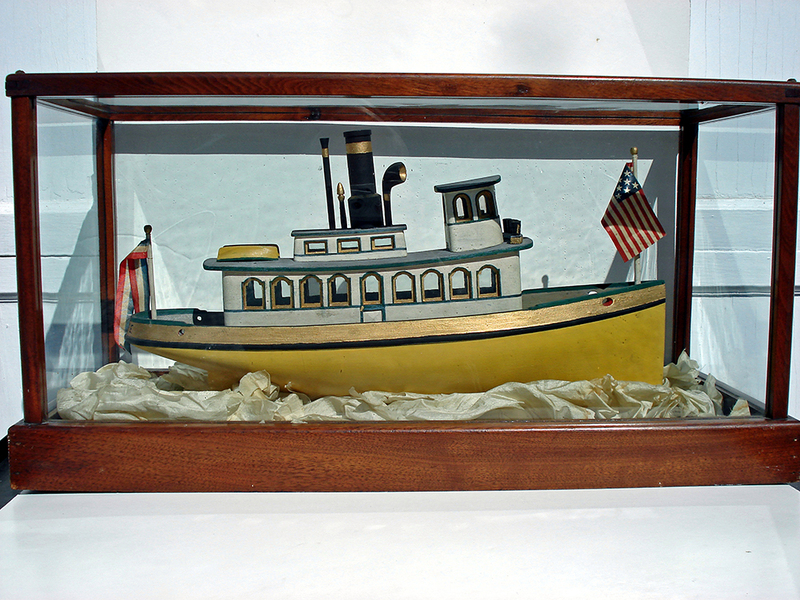 Port N' Starboard Antiques 53 Falmouth Rd Falmouth, ME 04105 mleslie@maine.rr.com www.portnstarboardgallery.com Island Ferry Steamboat “MINNIE” Model (Originally “MINNEHAHA”, built Portland, ME, 1879, homeports Ellsworth, Deer Isle, & Casco Bay) A wonderful folk art model in original paint. Circa 1900. Mahogany/glass case: 25 ¼” Long, 13” High, 10 ½” Deep.